On December 24, 2018 SOHO Lasco C2 and Lasco C3 captured a huge spherical object leaving the sun. Once again, on January 7, 2019 both satellites have captured another spherical object that leaves the sun. 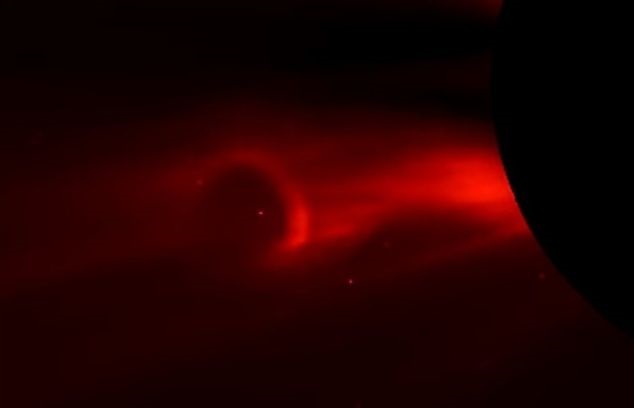 According to some UFO researchers these spherical objects are alien spacecraft since similar spherical objects have been spotted near the sun which were clearly not coronal mass ejections while others believe that the phenomenon is a plasma discharge. Currently we are in a solar minimum which is the period of least solar activity in the 11 year solar cycle of the sun. During this time, sunspot and solar flare activity diminishes, and often does not occur for days at a time, which makes us wonder whether the spherical object was indeed a plasma discharge or not. The video below shows the moment the phenomenon leaves the sun.